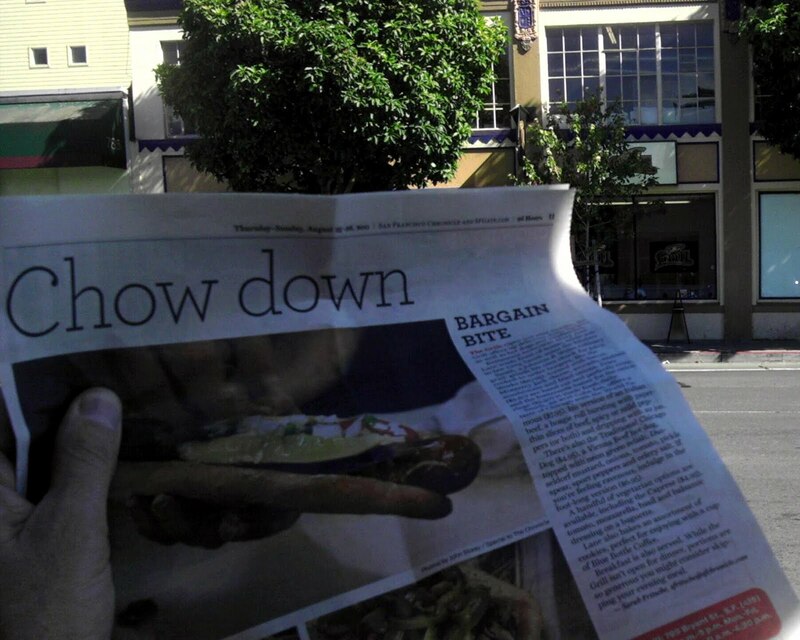 A nice write-up in the Chron today for The Grill on Bryant @ 6th. They are featuring Chicago style hot dogs and Italian Beef. Sigrid and I have been regular patrons of Moishe's Pippic to get our Chicago dog fix but, as far as I know, The Grill has the only Italian Beef west of the Mississippi. Swung by to check it out and bring home a dog and beef. One complaint - A major faux pas on the bread. The hot dog was not served on a poppy seed bun. C'mon guys. It is not a Chicago hot dog if it is not on a poppy seed bun. You know that. I'll still give Moishe's the slim edge on their dog based on their fidelity to the poppy seed bun, but must admit I liked the foot long char dogs at The Grill, a la Gold Coast Dogs in Chicago. Now if they could just get the bun right. Open just nine months, the Grill offers up delicious, hefty burgers as well as hot dogs and sandwiches. Restaurant newcomer Mary Ann Lane tends front-of-house, while son-in-law Greg Smith mans the kitchen. Smith, a Johnson & Wales culinary grad, grinds his own chuck for juicy, cooked-to-order burgers, like the Works ($10.95), topped with bacon, Monterey Jack cheese, avocado, sauteed mushrooms and fried onions. Fries ($3.50) are hand cut and perfectly crisp, and the buttermilk batter for the onion rings ($3.50) is made fresh daily. 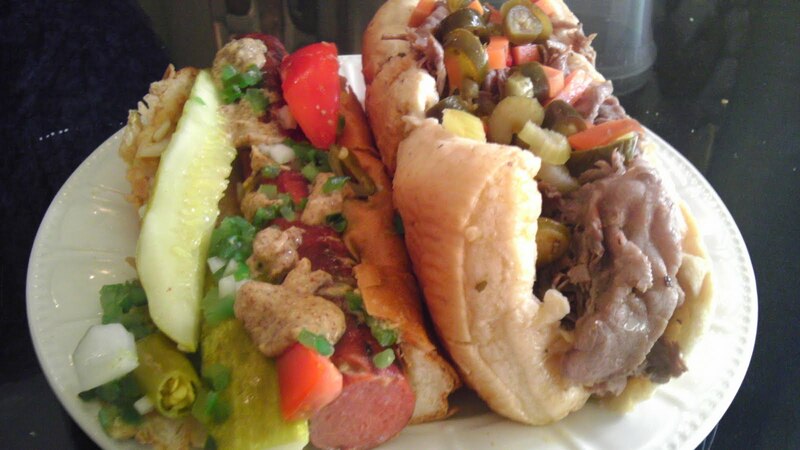 Smith, an avid Cubs fan, offers a taste of Chicago with the World Famous ($7.95), his version of an Italian beef, a hoagie roll bursting with paper-thin slices of beef, spicy or mild peppers (or both) and dripping with au jus. There's also the Traditional Chicago Dog ($4.95), a Vienna Beef hot dog, topped with neon green relish, Dusseldorf mustard, onions, tomato, pickle spear, sport peppers and celery salt. If you're feeling ravenous, indulge in the foot-long version ($6.95). 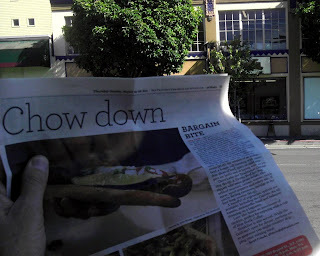 The Grill: 799 Bryant St., S.F. (415) 543-4745. 7 a.m.-5 p.m. Mon.-Fri. Delivery available 11 a.m.-4:30 p.m. ($15 minimum). The Grill - MW Recommended.